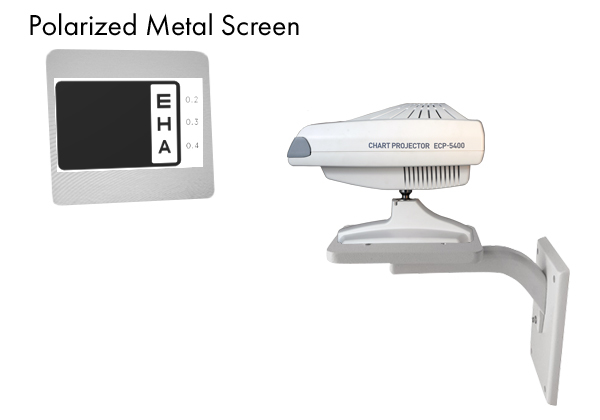 The Ezer ECP-5400 Digital Chart Projector provides crisp clear images with precise projection and 31 test charts. 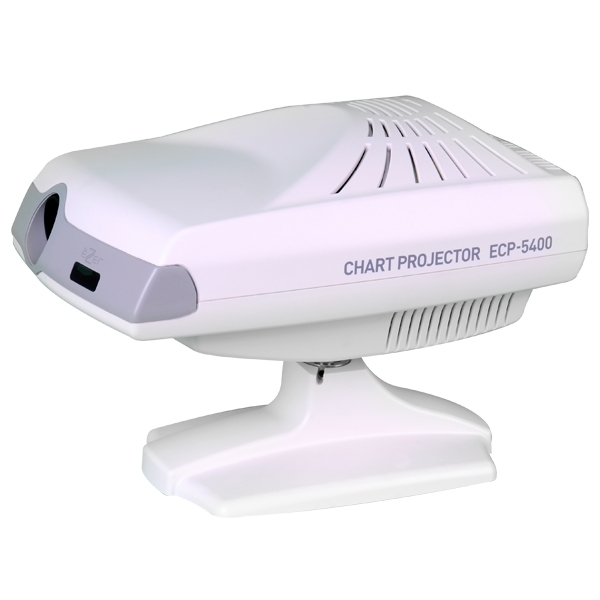 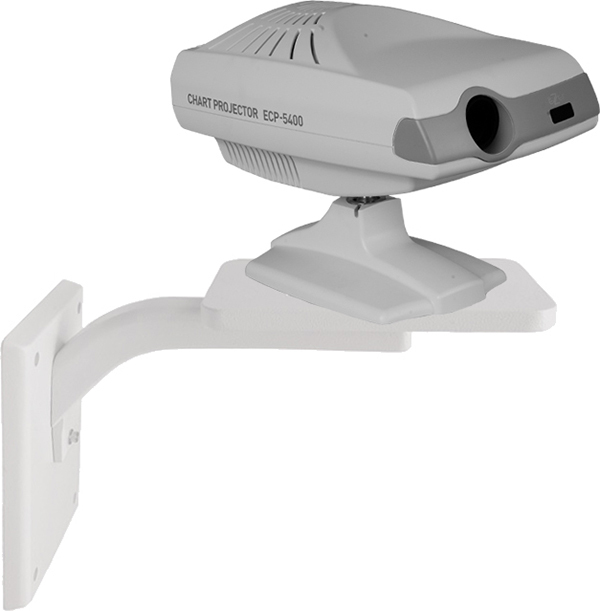 Ezer's high-resolution ECP-5400 Chart Projector will enhance any refracting environment. 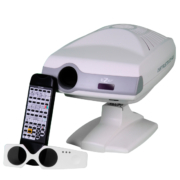 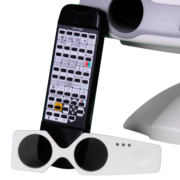 This compact and lightweight ophthalmic projector features a highly versatile programmable remote control. 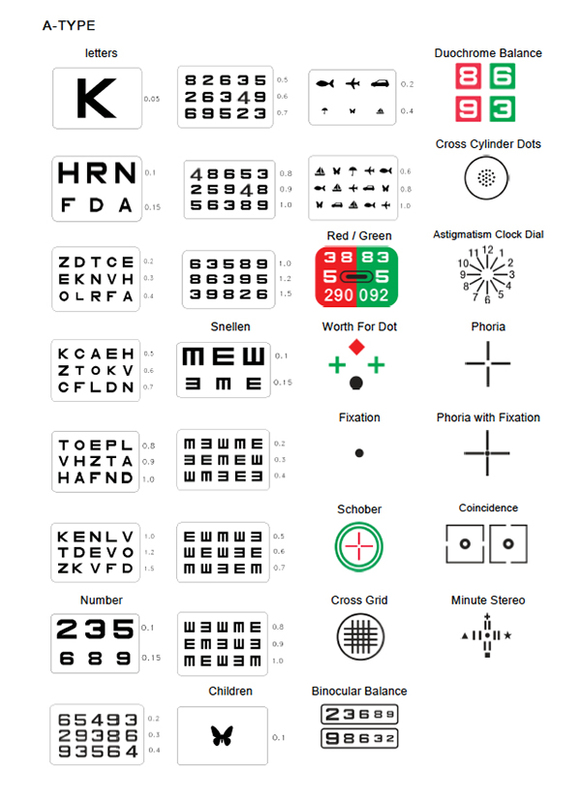 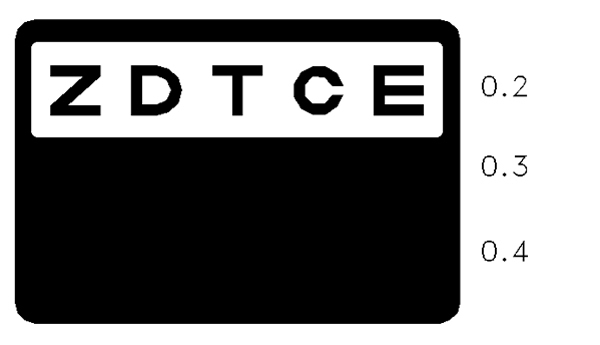 Operators will enjoy the benefits of being able isolate letters on a vertical or horizontal line or individually. You can also combine the ECP-5400 with Ezer's other diagnostic instruments to form an Ezer Digital Refraction Practice. 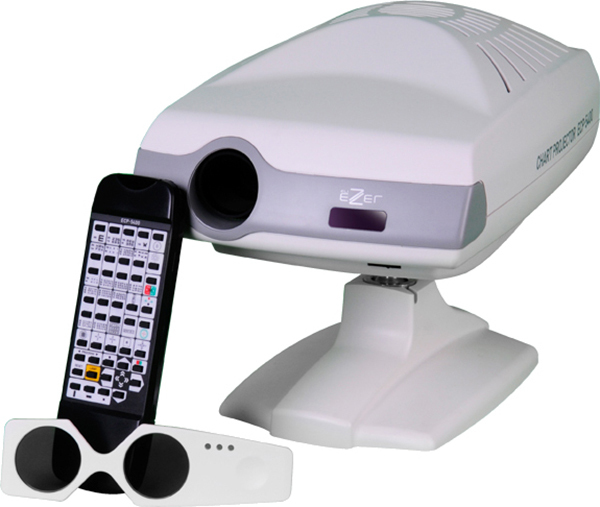 These digital practice platforms make it possible to perform a full digital vision exam, from pretest to Rx. 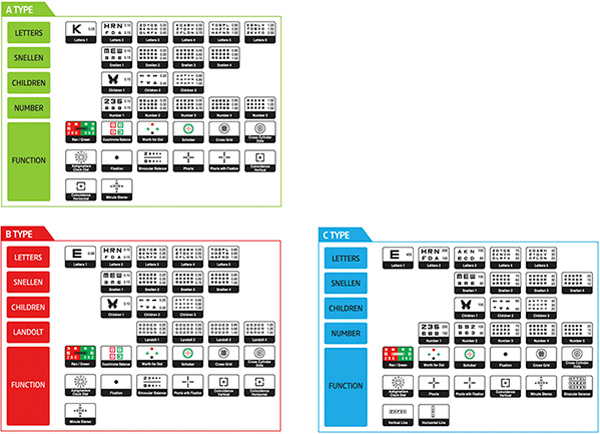 Randomly select any of the 31 test charts or use the program feature to create two user-defined chart sequences. 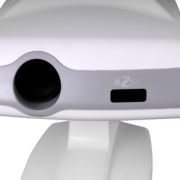 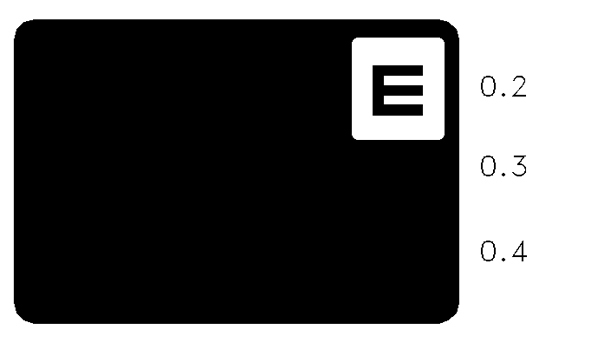 The masking controls allow you to isolate horizontal and vertical lines or individual characters. 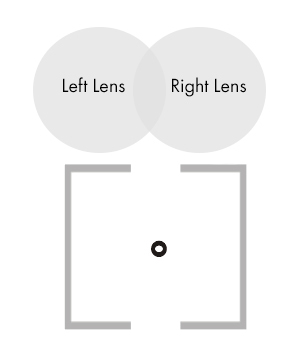 Additionally, you can apply the red/green filter or polarization filter to any chart. The Ezer Char Projector ECP-5400 allows the professional to perform additional tests for a more complete diagnostic. 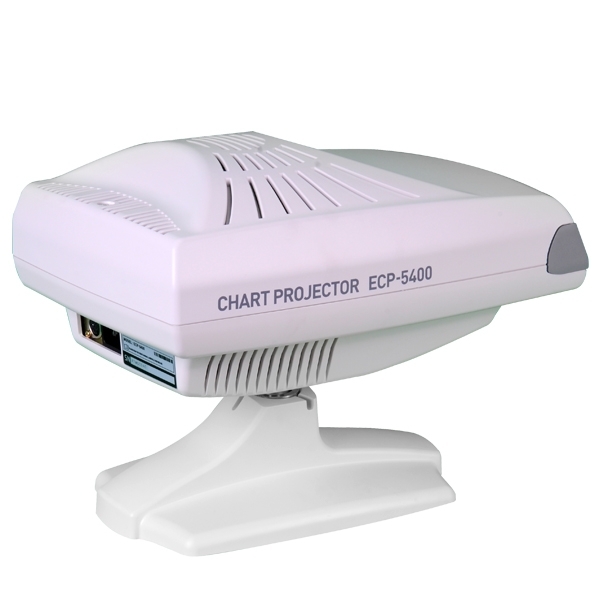 Since the polarized option provides 3D Test (depth perception), the Ezer Chart Projector maximize the usage of a variety of polarized charts that can be applied to many types of tests using the Red/Green, Polarization and other special lenses. 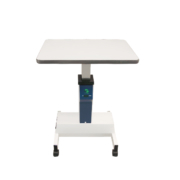 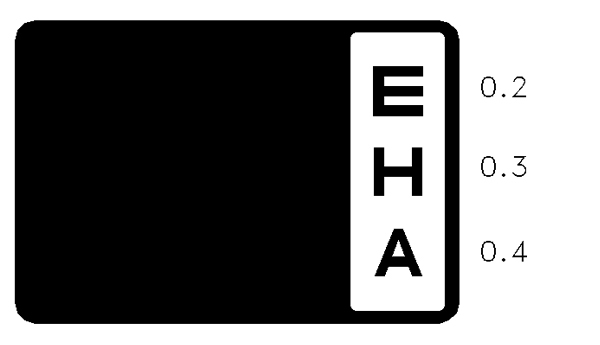 The ECP-5400 provides vertical and horizontal line masking as well as single letter masking, so you can show patients exactly which line or letter you want them concentrate on. 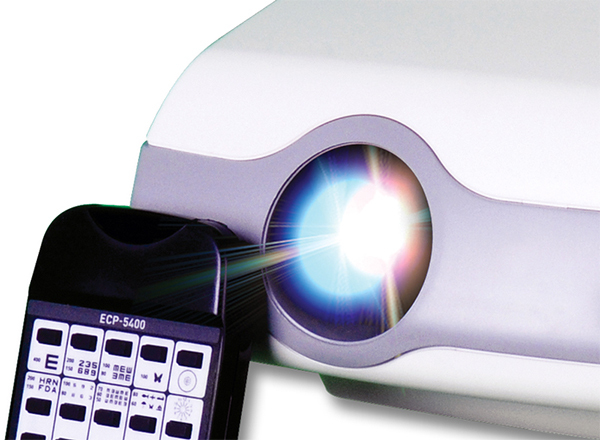 Bright, high-contrast slide images are provided by the unit’s 2000 hour long-life halogen bulb. 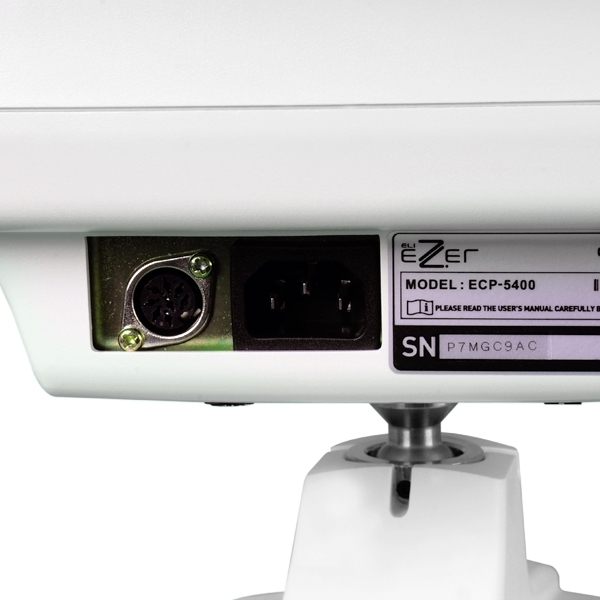 Combine the ECP-5400 with EZER’S 9000 series or 5400 series diagnostic instruments to form an Ezer Digital Practice. 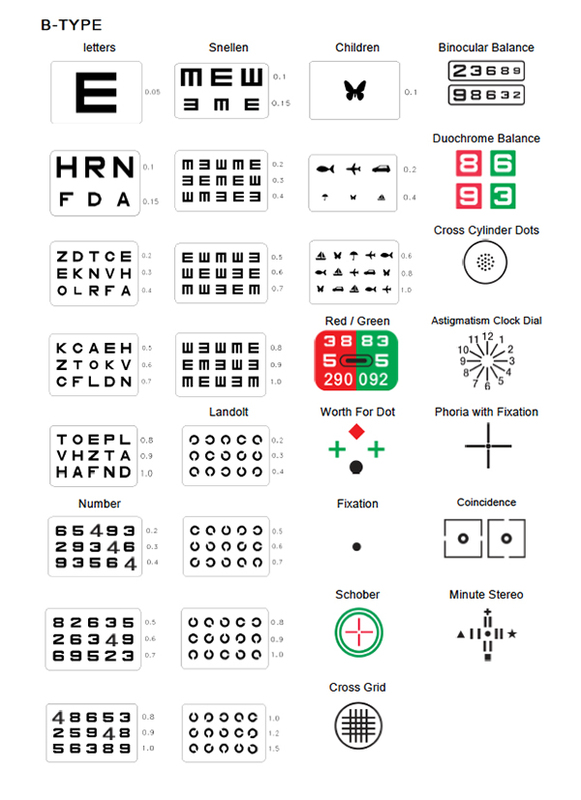 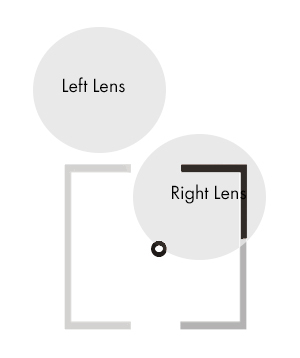 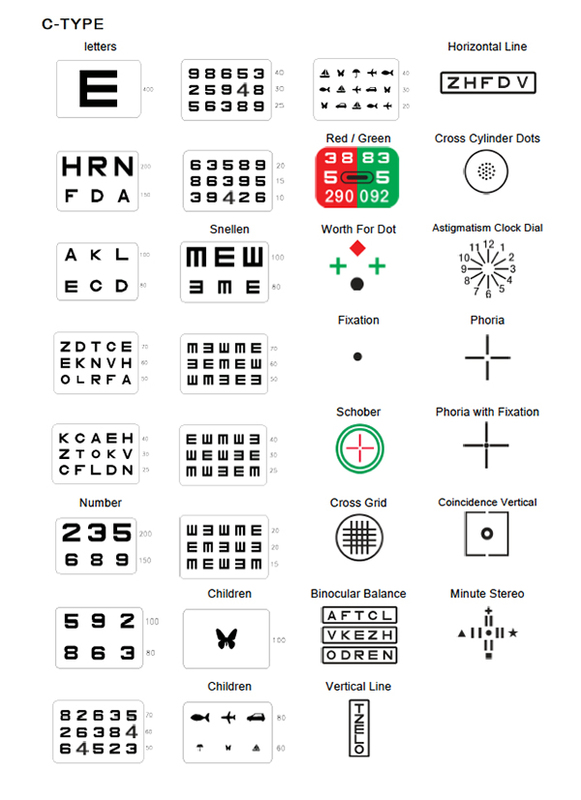 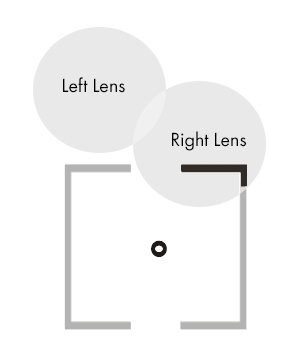 The complete suite of products will allow a full digital eye exam to be conducted from Pretest to Rx. 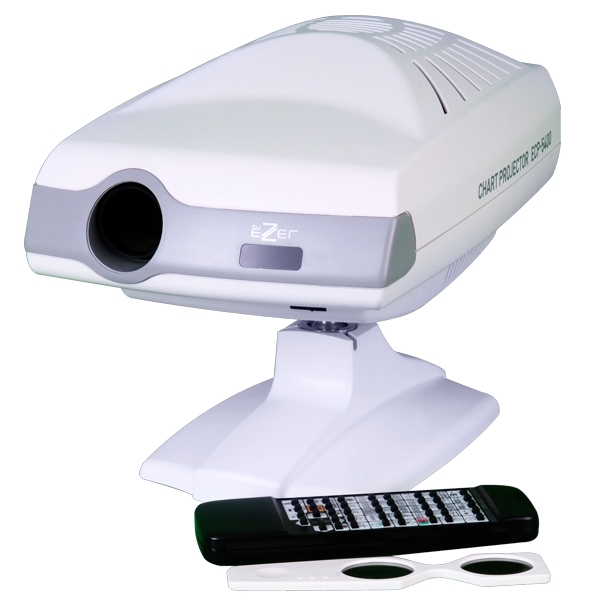 The ECP-5400 comes standard with a dust cover, polarized metal screen (15.8in x 13.8in), one pair of polarized glasses, two spare fuses, two batteries, and one spare lamp. 8-pin connector for simultaneous control of chart, mask and R/G filter by a motorized refractor's control unit.